The healthcare industry is changing at a rapid pace, and it can be hard to keep up as an employer in order to minimize costs and maximize the well-being of your employees. That’s why it’s worth considering where healthcare is likely to go and what steps you can take today to set yourself up for success in the future. The entire healthcare industry, and insurance in particular, has changed drastically over the past two decades. Consolidation, rising costs, technology, and government action have all contributed to a turbulent and challenging healthcare marketplace for employers. At the beginning of the millennium, comprehensive insurance plans with low deductibles were still commonplace, but they ultimately failed due to the lack of an incentive for employees to reduce spending – which was especially vital after the recession. Insurance companies tried to solve the issue through carrier-managed plans which controlled access to care to reduce costs, but these plans proved extremely unpopular. As a result, carriers and employers are turning to consumer-driven health plans (CDHPs) to increase cost-sharing and decrease spending. The most common type of CDHPs are high-deductible plans paired with tax-deductible health savings accounts, which keep premiums low and give employees significant control over their healthcare costs. The problem with these plans is that, while they provide employees with an incentive to manage and reduce their costs, the plans do not provide them with the tools they need to do so effectively. The rest of the healthcare pipeline, including employers, are struggling to catch up with ways to reduce costs and empower employees now that more of the healthcare costs lie on the consumer. Throughout the healthcare industry, the focus is on cutting costs and increasing efficiency – resulting in the formation of conglomerates. The lines between insurance carriers, brokers, pharmacy benefit managers, pharmacies, and providers are all becoming more blurred. The most prominent recent mergers have been between insurers and PBMs; Aetna recently merged with CVS Health and Cigna purchased Express Scripts. There is good reason to believe that this trend of consolidation will continue, and that major companies not historically associated with healthcare will get involved. Amazon has made it clear that it intends to enter the healthcare arena, partnering with reinsurers Berkshire Hathaway and JPMorgan and purchasing the prescription delivery service PillPack. As with so many other industries, Amazon is likely to change the way that the healthcare industry functions and take over a lion’s share of the market in the process. And once it has, it is likely that other tech giants will follow suit. The current trend of consolidation and CDHPs are moving the industry towards a “direct-to-consumer” model, with fewer middlemen and greater focus on customer experience. There will be more opportunities for employees and employers to save time and money, but at the same time there will be an even greater burden of responsibility to be intelligent consumers. The more knowable the market is for consumers, and the more control that they have over their healthcare, the more important it is that understand it. Education, already a crucial and too-often-neglected part of the healthcare equation, will likely become even more vital to both employers and employees. Employers have often borne the brunt of the burden of rising costs and an ever-changing healthcare industry. Future changes could cause further turmoil for companies that do not adapt quickly and effectively. However, change is not always bad news at all. You can set yourself up for success in the current and future healthcare markets by taking a proactive approach to your healthcare policies and adapting properly to every new development. The future is looking pretty bright – for smart healthcare consumers. In order to thrive now and in the future, it’s important to become a better consumer. The same trends that have empowered employees to take control of their own healthcare costs have also given employers greater responsibility for their own costs. So how can you meet this responsibility? Education is the first step to becoming a smarter consumer. 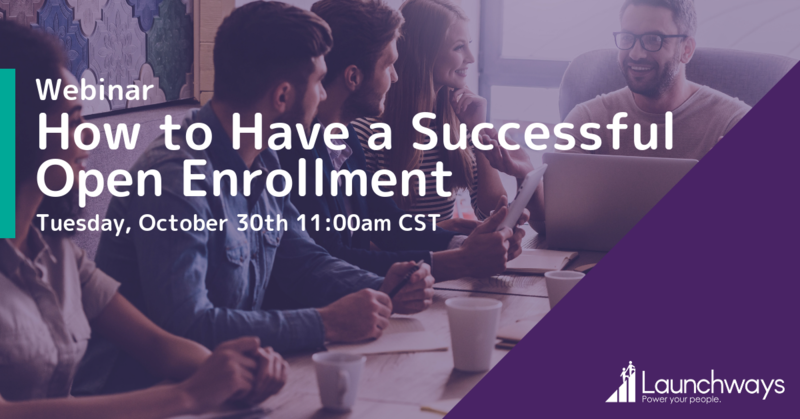 Knowing the ins and outs of the market, including which new options exist and could benefit the company and its employees, allows you to take control over your healthcare present and future. This is especially important when the relationships between every player in the healthcare industry are being thrown into turmoil. Proactive employers, armed with current knowledge, can negotiate better deals and carve out an advantageous space for themselves in the new market that is continuously forming. An important part of becoming a better healthcare consumer is to take advantage all of the new tools that are becoming available that employers can leverage to minimize their expenses and provide value for their employees. For instance, mail-order prescriptions and other alternatives to traditional pharmacies can reduce your spend on prescription drugs. Modernized, alternative healthcare fulfillment will only become more common, so adopting them early will set you up to take full advantage of new developments. Telemedicine is perhaps the most significant alternative to traditional care that employers can leverage to reduce their costs while keeping employees healthier. In an age when offices are increasingly moving in the direction of remote work, remote doctor’s appointments just make sense. Plus, telemedicine is likely to become even more widespread and powerful, so making it part of your employee’s healthcare habits now will pay dividends in the long-term. Like all other digital healthcare solutions, telemedicine saves employees – and by extension employers – time and money by offering a more convenient alternative to traditional options. It lowers direct costs by reducing the number of expensive emergency room and urgent care visits and is often even cheaper than a traditional doctor’s appointment. Also, employees commonly skip or reschedule preventative care appointments during work hours because they feel pressured not to miss work, which can actually lead to greater healthcare costs down the line (not to mention make employees feel mistreated). Telemedicine also makes your team members better employees. Because employees can consult doctors from their home or office, they generally don’t need to miss work in order to get medical advice. And, because telemedicine allows employees to access the care they need more quickly, your employees will be healthier overall, raising their productivity when they are in the office. 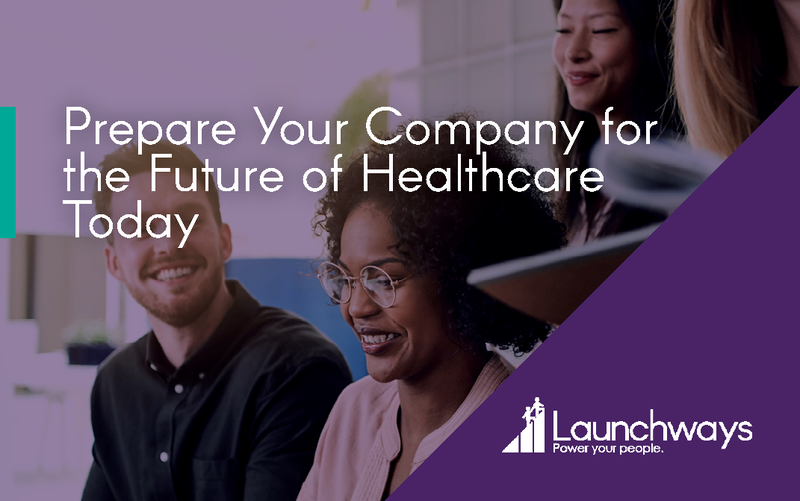 At Launchways, we strongly believe in empowering your employees to become smarter healthcare consumers. This is particularly important in healthcare because of the shift towards consumer-driven health plans. With the current trend of consumer-driven healthcare, employees need to be more involved in their healthcare decisions in order to minimize costs while maximizing their health. So, turning your employees into smart, proactive healthcare consumers can really set you up for present and future success. Coaching and education are important parts of empowering employees, allowing them to choose the options that are best for their health and their wallets. Digital tools not only provide employees with the information they need to be smart consumers, they also make it easier to navigate the healthcare process – an important step in getting employees engaged in healthcare decisions. And engaged consumers spend a third as much on healthcare as passive consumers, according to the 2016 McKinsey Consumer Health Insights Survey. The same survey also found that 80% of consumers view digital solutions as the most effective way to perform many fundamental healthcare activities such as finding doctors and insurance plans, checking health information, and monitoring health metrics. Because employees prefer digital options, they are more likely to take control of their healthcare decisions when offered digital solutions. And since digital options are streamlined and user-friendly, they genuinely make it easier for consumers to save money and manage costs through intentional consumption. Tools like HealthiestYou are already providing employees with one-stop-shop digital platforms to manage their healthcare. Just as Uber has revolutionized transportation and apps have modernized dating, healthcare apps make it easy for consumers to find the insurance plans, doctors, medications, and pharmacies that work best for their health and wallet. Wellness benefits are getting increasing attention due to their ability to reduce healthcare costs and make employees feel valued and engaged in their work. The cost-benefit analysis of wellness from a healthcare perspective is clear – the healthier your employees are, the fewer healthcare-related costs they will incur. Smoking cessation and weight loss programs are obvious examples of cost-saving wellness measures, but other health-promoting benefits can have almost as big an impact on your bottom line. Because wellness benefits generally target lifestyle related health costs, they are often seen by employees as quality-of-life benefits. They show employees that you care about their wellbeing, which makes them feel valued. Given the challenges of high employee turnover and the difficulty of keeping employees engaged in their work, the morale boost from introducing wellness benefits can be a very welcome side effect indeed. Wellness benefits can have a significant impact on your healthcare costs as well as your employee’s well-being and work satisfaction as a whole. If you’re interested in learning more about wellness programs and what they can do to empower your organization, keep an eye out for our upcoming article on the topic. Healthcare is an incredibly complex topic and there is no right or wrong answer for how to manage your employee’s healthcare. Every organization will face its own challenges and find its own solutions. But, hopefully this article has provided some insight into where the industry is going and some of the things you should consider doing for the present and future well-being of your company and its employees. Businesses use performance evaluations to assess their team’s work performance. These evaluations also help employers pinpoint deficiencies in work performance and determine the company’s expectations for the future. Written performance evaluations are best because a written evaluation creates a tangible record, which can be reviewed and referenced in the future. Developing guidelines and standards against which an employee’s performance may be compared. Gathering appraisal information, which when analyzed against the established standards reflects the employee’s performance. Discussing the appraisal information with the employee. Documenting the evaluation process in the employee’s personnel file. As positive communication tools to help employees improve job performance. In salary administration for determining merit increases. As regular workforce monitoring tools. In the disciplinary process where an employee’s job performance is unacceptable and could lead to discipline or termination. Assess Employee Potential. An effective performance management helps business leaders make informed decisions about employee promotions and transfers. A sound performance evaluation system can also help you proactively identify employees with special skills and abilities. Identify Training Needs. Performance ratings help evaluate the effectiveness established training programs. Your business might design and target training programs to better address the performance problems caused by a lack of training. Assist in Compensation Planning. Linking pay to performance is an effective compensation strategy, especially at growing businesses. Reliable, consistent performance evaluation processes enable your business to predict future payroll costs and reward your high-performing employees. Identify and Correct Poor Work Performance. Performance evaluations generate discussions between employees and supervisors that identify poor work habits. During these conversations your and your employees can uncover mutually agreeable ways to correct issue areas. Defend Against Lawsuits. The performance evaluation process allows companies to document poor job performance. Employers depend on this documentation to defend themselves successfully against employee claims of unfair termination or disciplinary action. Motivate Employees. Performance evaluations can motivate employees in their efforts to meet your business’ performance standards. A positive evaluation assures the employee that your business recognizes their hard work and that they will be rewarded for exceptional performance. 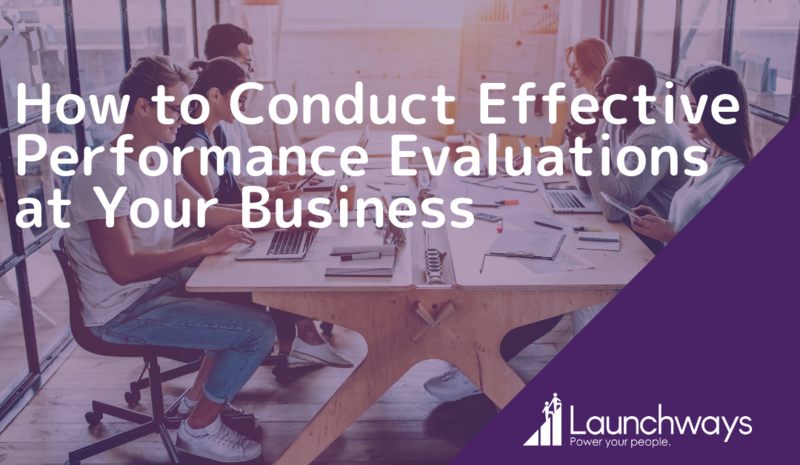 When it comes to conducting performance evaluations, there are several different methodologies your business might opt to leverage. Some of the most popular ones are elaborated on below. An employer can select which traits to rate based on factors that are relevant to performance of the employment position. Proper selection of traits may protect against legal action based on a claim of discrimination. In the essay method approach, the supervisor or manager prepares a written statement about the employee being evaluated. The essay describes specific strengths and weaknesses of the evaluated employee in job performance. It also includes suggestions for courses of action to correct any problem(s) identified in the evaluation. The statement may be written and edited by the supervisor or manager alone. It may also be composed in collaboration with the employee who is evaluated. Management by objectives (MBO) performance evaluation is results-oriented. It attempts to measure employee performance by examining the extent to which employees meet predetermined work objectives. The objectives are usually established jointly by the supervisors and employees. Once an objective is established, the employee is usually expected to identify the skills needed to achieve the objective. Employees do not rely on their manager to locate and specify their strengths and weaknesses. They are expected to monitor their own development and progress toward achieving the objective. In order to be effective, performance reviews must be honest and candid. Although supervisors may be unduly harsh on employees during an evaluation, excessive leniency occurs much more often. It’s a good idea to note and praise good work done by an employee in the past. However, the evaluation must also identify any issue areas in employee performance. Defending a wrongful termination suit is extremely difficult if the reason for termination was a problem that existed for an extended period of time and was not noted on the employee’s performance evaluations. The employer’s case is further damaged when the employee received favorable performance evaluations, including favorable remarks on the categories of performance that are later involved in the reasons for termination. An employer should always monitor managers as they conduct performance evaluations, making sure the process is uniform throughout the organization. If your process lacks uniformity, supervisors in one department may give more favorable (or harsh) evaluations than those in another department. When these inconsistencies occur, it is difficult for an employer to defend against wrongful termination because the suit could attack the credibility of the business’ evaluation system. Each evaluation must include a discussion of the employee’s strengths and weaknesses. Evaluations should include deserved compliments (rather than only criticism) to be fair, balanced, and objective. Giving constructive criticism in performance evaluations also has advantages. Some constructive criticism of good employees may help lay the groundwork for negative evaluations of those employees in the future if their overall performance deteriorates. This is particularly true when an employee brings a wrongful termination suit after an unfavorable performance evaluation. When defending against a wrongful termination suit, it may be helpful for the employer to demonstrate that the employee was previously criticized for some of those same faults (which triggered the termination) on prior evaluations, even though the problem perhaps was in its infancy at that time and did not warrant an overall negative evaluation. Clear written instructions to all managers involved in the evaluation process. Relevant training for supervisors and human resource leaders involved in the evaluation process to ensure complete understanding of all employee job duties. A job-related performance evaluation system. Reasonable precautions to guard against improper bias by the evaluating supervisor or manager. A procedure that includes multiple levels of review and approval of the evaluation. Central monitoring by human resources to ensure uniform performance rating standards among all supervisors and managers conducting the evaluations. A procedure that allows the employee to comment or respond to the evaluation. A procedure providing the employee with an appeal process of a poor evaluation, within a reasonable time after the evaluation. A procedure requiring the supervisor to identify specific performance goals as part of the evaluation process. Federal civil rights and state fair employment practice laws are in place to prohibit employers from implementing performance evaluation systems that discriminate against employees based on race, color, religion, gender, national origin, or disability. To avoid liability, your business must ensure that its supervisors and managers base their performance evaluation judgments solely on job-related factors. In determining whether performance evaluation systems are discriminatory, courts generally apply the same standards used to determine whether employee selection procedures and tests are discriminatory. Under such standards, a performance evaluation system is nondiscriminatory if it is both valid and reliable. When the system does not satisfy both requirements, the discriminatory impact of the improper factors might cause the system to violate one or more federal or state laws. The performance evaluation program is formal and in writing. Ratings are reviewed to ensure that high and low ratings are documented with information demonstrating what the employee did or did not do to earn the rating. Reviews also look for statistical patterns of adverse ratings and evidence that a supervisor needs more training rating employees. The evaluator is familiar with the employee’s job duties and actual performance. Evaluators should be allowed to state or check “not observed” when necessary. 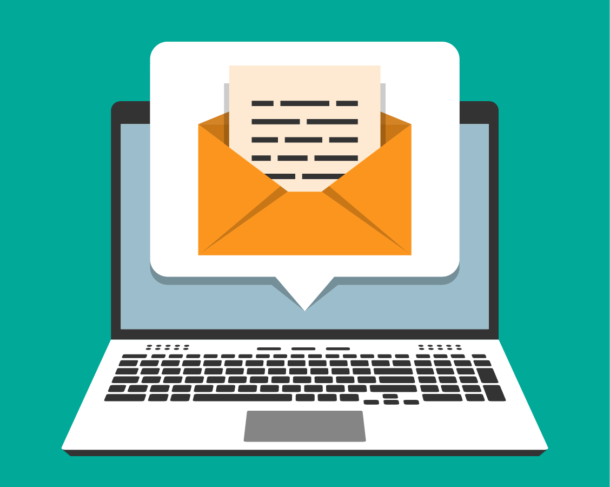 Employees must read their evaluations, sign the evaluation to acknowledge their reading of the evaluation, and have the opportunity to provide written commentary on the evaluation. Evaluations are not final until employees have the opportunity to comment. Higher-level management reviews all evaluations. Supervisors receive training in evaluating employees. Evaluators receive clear written instructions as to the implementation of the evaluation. Evaluation forms are as clear and simple as possible. Definitions and examples are included to clarify the scope and meaning of various rating categories. Standards or expectations are identified clearly for each aspect of performance and are communicated to the employee. Employees have input in setting performance expectations. The relative importance of each aspect of performance is communicated. The primary goal of the evaluation is to enable employees to improve. Evaluators help an employee recognize strengths and weaknesses and help employees develop plans for improvement. 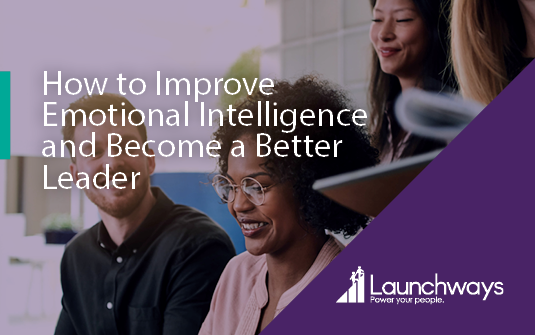 Your management team’s emotional intelligence level can make or break your ability to build a thriving business. Emotional intelligence, a.k.a. “EQ,” is someone’s ability to understand and harness the power of emotion to build strong relationships, foster trust, mitigate conflict, and more. Teams with a high EQ enjoy higher productivity, better morale, and improved employee retention. On the other hand, teams with a low EQ can suffer from poor work ethic, high turnover rates, and low motivation. Self-awareness: understanding one’s own strengths and weaknesses, recognizing the impact of one’s actions on others, and receiving constructive criticism well. Self-regulation: expressing one’s feelings with restraint and control. Motivation: driven by one’s own ambition, resilience, and optimism. Empathy: having the compassion and understanding to connect with others on an emotional level. People skills: the ability to build rapport and trust with others. Research on emotional intelligence by Harvard Business Review more broadly segments EQ into the areas of self-awareness, self-management, social awareness, and relationship management. Within each of these areas are several skills which allow for exceptional leadership in business. The graphic below overviews each of these areas and the competencies that fall within them. Research by the Center for Creative Leadership (CCL) found that lack of emotional intelligence is a leading cause of failure in executive positions. It identified three main reasons for failure: difficulty handling change, ineffective teamwork, and poor interpersonal relations. Additional research by Egon Zehnder International found that EQ was stronger at predicting executive success than IQ or job experience. More generally speaking, research by The Carnegie Institute of Technology found that only 15% of financial success is attributed to technical skills. 85% of a typical person’s executive success is attributed to EQ skills such as the ability to communicate, negotiate, and lead. Research by TalentSmart found that 90% of top-performers have good emotional intelligence. In business, trust is key. Building trust with employees and customers is important for business leaders. In fact, research by Daniel Kahneman found that people would rather do business with someone they trust, even if it means paying a higher cost. High EQ is critical to building genuine relationships founded on trust and mutual understanding. On the flip side, poor emotional intelligence can lead to a toxic work environment. Bad EQ in the workplace can be seen in bullying, harassment, turnover, and demotivated staff. It can manifest as insensitivity, arrogance, aggression, and volatility. Whereas a leadership team with high EQ can build a flexible environment, low emotional intelligence can lead to detrimental inflexibility and rigidity. In order to build a good company culture, emotional intelligence is crucial. Observe your feelings: as business leaders, work is extremely demanding. It’s easy to become so over-worked that you suppress or ignore your emotions entirely. It’s important to recognize that ignoring your feelings can cause these emotions to become stronger and less controlled over time. Rather than getting caught up in the day-to-day, when you’re having an emotional reaction to a situation, take a minute to recognize and address your feelings. Intentionally taking time to recognize and address your feelings can help build up your emotional intelligence over time. Respond instead of react: recognize the difference between responding and reacting. Reacting is a knee-jerk response driven by emotions. Responding is a conscious, intentional process driven by understanding your feelings and deciding how to behave. Be humble and keep things in perspective: having realistic expectations of yourself and others is a key part of EQ. If you think you’re better than others, you won’t be able to intentionally recognize and work on your own faults. You may also set unrealistic expectations for others, leading to disappointment. Instead, remain humble while recognizing your own unique set of strengths. As you intentionally integrate these strategies into the way you think, your brain will begin to build new pathways and thought processes. Over time, your brain will adjust to use new EQ-driven strategies in your day-to-day work. Improving your EQ takes effort but is critical for anyone in a leadership position. Your employee compensation strategy is an important component of your company’s overall hiring strategy. You already understand that compensation is very important to be able to hire and retain top talent. What you might not know is that there are some simple strategies you can use to increase the value of your compensation without increasing base salaries. In today’s post I’ll explore how to understand your total compensation package and offer six unique strategies to increase the value of your total compensation offered. When considering making changes to your compensation strategy, it’s important to first understand the difference between base salary and total compensation. Base salary is the amount per hour or year an employee is paid. This is the figure that appears on the employee’s paycheck. This number does not include bonuses, benefits, or any other perks. Total compensation is everything that an employee receives in exchange for working for your company. This figure includes base salary, bonuses, incentives, benefits, on-site amenities, and any other perks you offer. First and foremost, employees must feel they’re being compensated fairly. If employees don’t feel this way, high turnover is inevitable. Your compensation strategy should ensure employees are invested in the long-term success of the company. Communicating your company’s benefits and perks programs to employees will help them better understand the value of their total compensation package. Many companies offer a large signing bonus as a particularly enticing component of the compensation package. However, a highly-effective yet often-overlooked compensation strategy is to offer a deferred bonus. For example, offer a $5,000 signing bonus up front with an additional $5,000 bonus granted at the six-month mark. This way the signing bonus works not only as a compensation tool but also as an employee retention tool. Rather than offering a performance-based cash incentive, consider offering a different incentive such as an annual company trip. Other great ideas for incentives include: bonus vacation time, sports-related activities such as group outings to a game, or free catered lunch. Any of these incentives can add variety to total compensation and provide tangible incentives for employees to work towards. In an employee stock ownership program you offer employees stock in the company as a benefit or performance-based bonus. This program helps align an employee with the long-term company vision, as they become personally invested in the company’s growth. Unlike ESOPs, phantom equity does not transfer any of your company ownership to employees. Rather, it’s a contractual agreement which gives your employees a right to a certain percentage of the profits/proceeds of your company. This process allows you to incentivize long-term commitment and high performance without giving up any ownership of the company. An employee discount program is a great way to provide additional incentives beyond an employee’s base salary. Employee discount providers will partner with your organization to offer your employees competitive discounts on retail goods, phone bills, hotels, and much more. Studies show that Millennials, who are often on a tight budget, are particularly enticed by attractive employee discount programs. Shows your employees that you want to invest in them and their career success. According to a study done by Deloitte, most loyal employees believe their company offers a lot of training and support. Develops your employees, so they can perform their job more effectively and become strong leaders. Increases the total compensation value of your employee benefit package. When thinking about compensation, you must consider the total value of your compensation package, not just the employee’s base salary. When discussing compensation strategy, it’s important to have clear goals in mind. 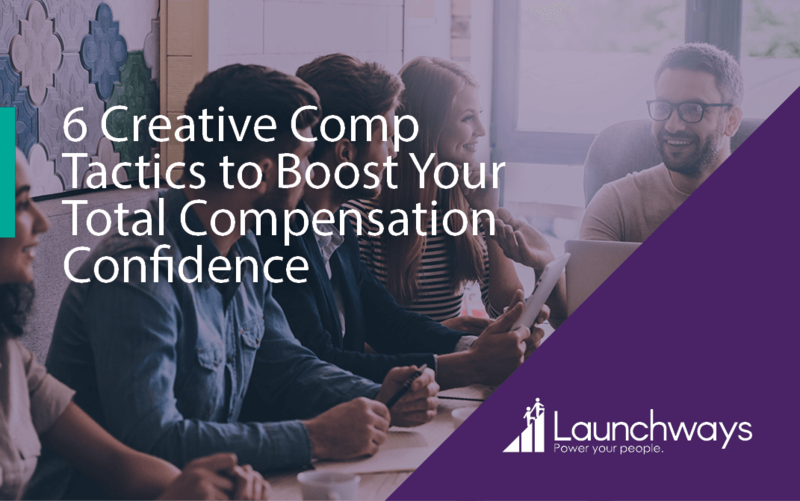 A competitive compensation strategy will help your company attract, develop, and retain the best talent. Continuous communication around the total compensation package is key. It costs nearly 20% of an employee’s annual salary to replace a current employee. Roughly 63% of employees are actively looking for a new job. Engaged employees are 87% less likely to leave their organization. The majority of turnover (52%) occurs in the first year of employment. One in four employees would leave their job for a 10% raise. Only 17% of organizations are aware of the costs of employee turnover. About 65% of employees believe they can easily find a better position that pays more. Know who to retain. How do you identify top performers at your organization? Pinpointing rising stars is crucial to your overall retention strategy. Look for employees with the following traits: dedication to high-quality work, desire for growth, self-starter, decision-maker, critical thinker, and great communication skills. Provide realistic job expectations. Be explicit and clear on the responsibilities entailed in a position from the beginning. Employees should have a clear understanding of the scope of their position and have a general idea of what their day-to-day will entail. Unrealistic/untrue expectations lead to employee disappointment, frustration, dissatisfaction, and ultimately attrition. Get compensation right. Compensation is a critical component of your overall retention strategy. If you can afford to compensate over-market, you should. You should also factor in the value of your total compensation package, which includes all the benefits you offer. It’s important to make sure the value of your total compensation package is clearly explained to new employees. Your current employees should also be continuously made aware of the benefits offered to them. Provide clear career-pathways. Annual performance reviews can be stifling for goal-oriented, fast-moving top performers. Instead, design an individualized career-path with clear goals and quarterly performance milestones for each employee. Connect employees beyond their manager. In a study completed by The Herman Group, 75% of employees leaving a position claimed they left due to a bad manager. This figure demonstrates the importance of helping employees connect with the organization beyond their direct manager. Some effective ways to do this include providing each employee with a mentor, implementing 360 degree performance reviews, or leveraging peer reviews.